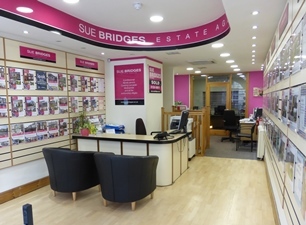 Established in 1988 by Sue Bridges, who still actively runs the company! This successful Estate and Letting Agents in Lancaster have always done their best to look after their customers both old and new. Estate agency is about communication, if buyers are aware of our stock and our clients aware of our buyers, we will sell more properties. Communication, motivation and an understanding of what buyers and clients are looking for is the key to any good estate agent. We offer friendly, personal and individual advice and a wide range of properties for sale across a range of prices. Our clients can rest assured we will do our utmost to find the property that best suits their requirements. Our thorough knowledge of the local area combined with our years of experience helps us to sell more properties. We consider every house and their owners to be individual, so we treat them accordingly. Our aim is to outperform our competitors but not lose our helpful friendly service. You are important to us!